Although nerf bars give a noticeable exterior upgrade, they are rather practical than decorative. 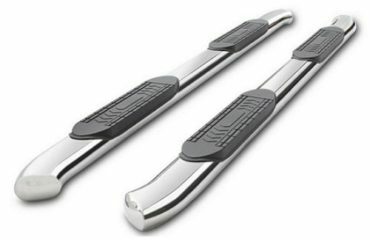 Intended to provide a step up, nerf bars make it easier for you (and your passengers) to get in and out of your lifted or just tall vehicle and put some strain out of loading/unloading cargo. Once you are ready to choose a set of nerf bars for your truck or SUV, you need to decide which design will work best for your needs: cab-length nerf bars, aka sports bars, or wheel-to-wheel nerf bars. 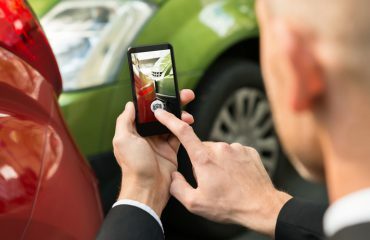 We’ll help you figure out which of two popular types will be just the ticket for you. Cab-length nerf bars extend from the front wheel well all the way up to the end of the cab door on each side of the vehicle, spanning both seating rows. Their length is enough to provide stepping surfaces to help you and your passengers enter and exit the cab. Those who believe that the road begins where the road ends choose cab-length nerf bars as they provide more ground clearance than the wheel-to-wheel type while ensuring the same level of protection from the side damage caused by debris thrown up by the tires. 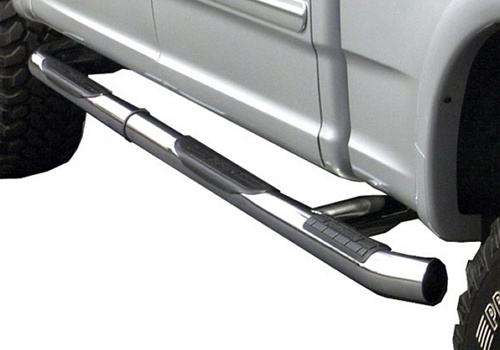 Those who don’t want to install bulky exterior accessories on their truck or SUV will also like the functionality that cab-length nerf bars will add to their vehicle without the massive size of their wheel-to-wheel counterparts. 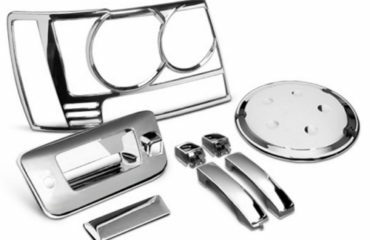 This design will work great for you if a secure step up to get into the cab is all you want. 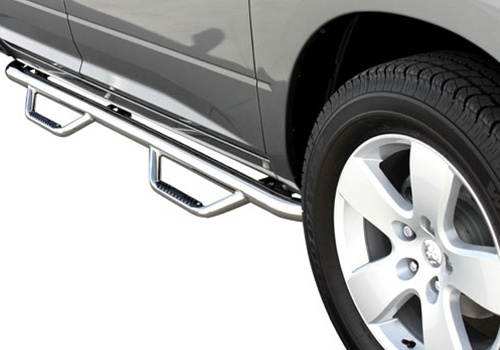 Wheel-to-wheel nerf bars or wheel-to-wheel side steps cover the entire length between the front and rear wheel wells. If you use your pickup as a work truck and always need easy access to its bed, the wheel-to-wheel design is what you need. 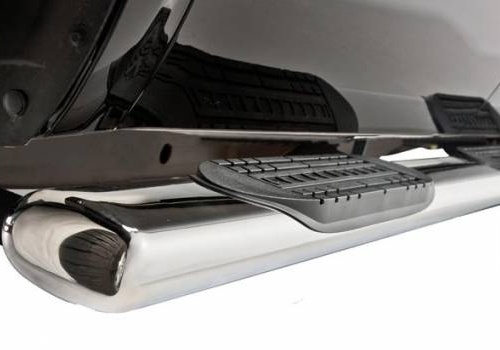 It provides an additional place to step on to get to hard-to-reach items in the bed of your truck. Some wheel-to-wheel step bars also have the third step for you to gain easier access not only to the bed, but also to utility racks. 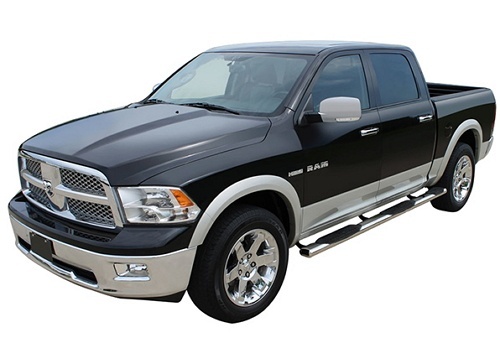 Install full length nerf bars and you will no longer need to look for something to step on every time you need to, say, clean the rear window or wipe dust off the tonneau cover.